Evidently, two consecutive great years are quite uncommon, even for Korean cinema, particularly because films like “The Handmaiden” and “The Wailing” did not find their equals in 2017. This, however, does not mean that the level of quality fell much lower, since the country’s film industry seems to provide great films continuously, even despite their mainstream and Hollywood-like aesthetics, at least for the most part. Furthermore, the international hype about Korean movies continued with productions like “A Taxi Driver” and “The Villainess.” Hong Sang-soo managed to shoot three films, with one of them standing out. Dae Hyung-lim shot a great indie film, while films like those on the rest on the list continued the legacy of the country in action/gangster thrillers. Here are the 10 best Korean films of 2017. The movie starts with an extremely impressive action scene, where we watch an unknown assailant attacking swarms of enemies in a building, butchering, maiming, breaking, kicking and punching everyone who enters the scene, in a style identical to the first-person shooters in video games. After awhile, the camera is pushed back and the character is revealed to be a woman, while the video game aesthetics remain, as a third-person action this time. After the end of this scene, and a disorienting cut including a flashback, we watch the main heroine escape a room in which she was secluded. Some seemingly surrealist scenes occur where she has to pass through a room where women practice ballet, another where they act, and another where they put on their makeup. In this sequence, the film transforms into yet another video game, this time in the category of surviving horror. Awhile later, we start to learn about the real story of Sook-hee, the wife of a criminal who trained her to be a killing machine and left her pregnant. Now, the girl has to work for the government’s secret service as an assassin for 10 years, in order to avoid them having her and her daughter killed. Up to this point, the action is frantic in the most elaborate way. Violence, martial arts, street fighting, guns and knives, and an exceptional combination of Park Jung-hun’s cinematography, Heo Sung-mee’s editing, and Koo Ja-wan’s sound make for one of the best action sequences ever to appear in cinema. This greatness continues to the rest of the action scenes in the movie that include car, bus and motorcycle chases and fights, and scenes occurring in places that range from private clubs to the outside of the buildings. All of these are presented through another great combination of films that seems to feature the aesthetics and tactics of “Chocolate” and “The Raid,” and the aesthetics of “A Bittersweet Life” and “I am a Cyborg, But That’s OK” at the same time, with the latter deriving from the way Kim Ok-bin plays Sook-hee in the action scenes. 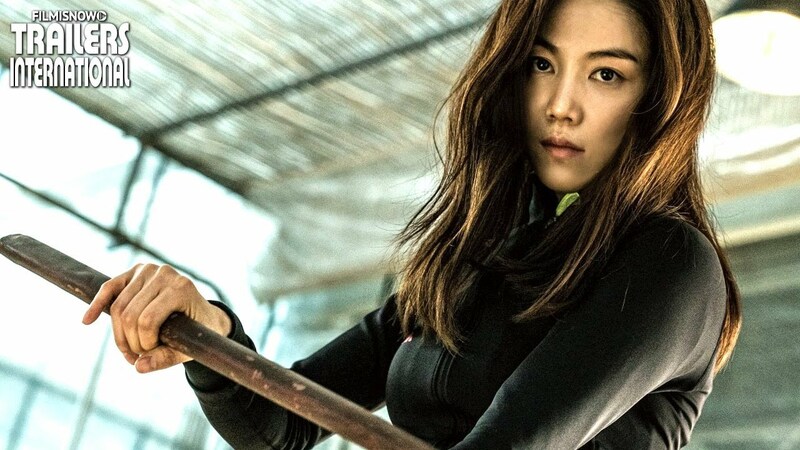 However, and this is one big “however,” the film’s rhythm falls very low during the hour or so where we learn the true story of “The Villainess,” and the blights that still torment her life. Another combination of films, this time including “La Femme Nikita” (which will be forever mentioned when the theme of the female professional killer comes up) and “Kill Bill,” keeps the story interesting, although a bit extreme at times. Jeong Byung-gil does not avoid the reefs of the heartbreaking romance and the melodrama, where the evident effort at sentimentalism makes the majority of the parts between the action scenes almost tiring. Evidently, if one wants to shoot a blockbuster in Korea, he has to include some doses of melodrama, but in this case, they seem completely misplaced compared to the rest of the production’s aesthetics. On the other hand, Jeong has the wisdom to interrupt them with a few well-placed action scenes, some of which even border on the style of 70’s Japanese exploitation, with the scene in the private club being the highlight of this tendency. Hyung-jung, the number two in her crime syndicate, which “specializes” in extorting money and “favors” from people in power, dreams of retiring in order to spend the rest of her life with her son, whose existence is unknown to her colleagues. Sang-hoon is the main enforcer of the syndicate, a troubled man swamped in violence who is also in love with Hyun-jung. When Prosecutor Choi, who falls victim to the syndicate’s tactics, forms a plan to use Sang-hoon to exact revenge from Hyung-jung, all hell breaks loose. Lee An-gyu directs another stylish gangster/crime thriller filled with impressive action, fast editing, great cinematography, and a protagonist (Kim Hye-soo) that combines sexiness with regality, only to have both of these shuttered as her enemies find their weak spots. Nothing out of the ordinary here, but the movie is well directed, despite the somehow naive script, which fits, though, the general aesthetics of the film. Lee Sun-kyun is also great as Sang-hoon, a broken man struggling to decide where his loyalties lie, in a dog-eat-dog setting where everyone seems to have a weakness the rest of the world wants to exploit. The film could be a bit higher on the list if only it was not so filled with cruel misogynism. Yeong-hee is an actress who has left Korea at the end of an affair with a married director for Hamburg, where an old friend, Ji-yeong, is living. The fact that the latter also found solace abroad after her divorce and ended up staying seems to provide a very strong connection between the two women, although their interactions mostly feature Yeong-hee talking about her psychological situation. After a point, end credits fall on screen and the film seems to start again, this time in the coastal town of Gangneung, where Yeong-hee meets a number of her friends and has a number of conversations over soju. As I mentioned before, all of Hong Sang-soo’s themes and motifs are here, with the drinking, the long conversations in lengthy one-shots, the presentation of the weakness of man in front of women, the sudden zoom-ins, the unexpected humor and the great framing. Regarding the visual aspect, Kim Hyung-koo and Park Hong-yeol have done a great job in all of the aforementioned aspects, with the scenes in both the interiors and the exteriors being impressive, and the various scenes on the beach being the highlight of this tendency. The focus on Kim Min-hee is, once again, intense, with her actually being present in all of the scenes, although her performance definitely justifies this fact, as she gives one of the best ones of her career. The moody behaviour, the sadness due to the break-up, the need for human interaction and at the same time the need to be by herself and ponder on her situation are all depicted eloquently, in a very difficult role. The labyrinth-like story begins with Han Jae-ho (Sul Kyung-gu), the “leader” of a prison, meeting a new inmate, Jo Hyeon-soo (Im Si-wan), who impresses him with his fighting abilities and his cockiness. Han recruits the young man, with the latter becoming one of his most faithful henchmen, even standing by him when he loses the throne from a bigger gangster than him. The two of them continue their collaboration outside of the prison, with Han bringing the young man into his syndicate. The organization is headed by Go Byeong-cheol (Lee Kyung-young), who runs fishing company as a front to smuggle drugs in cooperation with the Russians. Soon, a number of truths are revealed. Jo is actually an undercover cop whose loyalties are jeopardized the more he hangs out with Han, whose boss fears his rising power and actually wants to kill him. And this is only the beginning in a spiral of treacheries, switching loyalties, and secrets that threaten everyone. The fact is that Byun Sung-Hyun penned and directed an elaborate story, which retains the agony for the whole 120 minutes of the film, with a number of shuttering plot twists that are presented in a very timely fashion. However, the timeline, with the almost constant flashbacks, makes the narrative unnecessary complicated, and the film a bit difficult to follow. Furthermore, I felt that the story went a bit overboard in a number of instances, particularly during the ending, although this aspect actually fits the general aesthetics, which are not based on realism, but on entertainment. In that fashion, the movie features impressive fighting scenes in a fitting brawler style, humor in the most unexpected moments, a rock-like soundtrack, plenty of violence, and an obvious effort to draw from Im’s impressive looks, all in accordance with the rules of mainstream films. The slapping/fistfight in the prison and the scene where everybody is laughing are great samples of the aforementioned, and are among the most impressive sequences in the film. Jo Eui-seok directs and pens (along Kim Hyeon-deok) a very entertaining film that incorporates, apart from the aforementioned elements, a plethora of elements of mainstream cinema. In that fashion, the basis of the movie may be an agonizing thriller with many plot twists, but there are also car chases, gunfights, a martial arts scene, drama (although brief and not at all melodramatic) and very beautiful protagonists (both men and women) in different styles of appearance. The fast pace, implemented expertly by Shin Min-kyung’s editing — particularly in the action scenes — and the impressive cinematography by Yok Yoo also stresses this trait, as the latter wraps the film in an impressive visual package that makes the production even easier on the eyes. The elaborateness in the technical department extends to Park Elhen’s production design, which presents interiors filled with luxury or rundown buildings with the same artistry, and Cho Sang-kyung’s costumes, which have the protagonists looking as good as possible. Some excessiveness in the script does appear, particularly in the second part where Jo Eui-seok seems to have gone a bit overboard with the concept of the characters and the story, but even that hyperbole fits the general commercial aesthetics of the film, much like with Hollywood action blockbusters. Despite being the “smaller” name of the three main characters, Kim Woo-bin as Park Jang-goon is the main protagonist of the movie. His performance is quite good as a man caught amongst powers bigger than him, particularly when he realizes that he is better off as a subordinate rather than the main man. Gang Don-won as Kim Jae-myeong is as cool as ever in the role of the determined hero, which seems to suit him to the fullest. However, I felt that his part, as a kind of father figure to Park, is a bit hyperbolic, particularly since the former is 28 and the latter 36. The story revolves around Park Tae-soo, the delinquent son of a petty criminal who, after watching his father getting beaten by a man much weaker than him, who happens to be a prosecutor, decides that this is what he wants to be. Not having studied in his whole life, though, Park finds himself perplexed, although the solution eventually is presented to him. After having to face disbelieving teachers, intense antagonism and living in a world he knew nothing about, he manages to enter the most prestigious law school in the country, and eventually becomes a prosecutor. Soon, though, he realizes that his job is not that prestigious, as it involves long hours and meager pay. 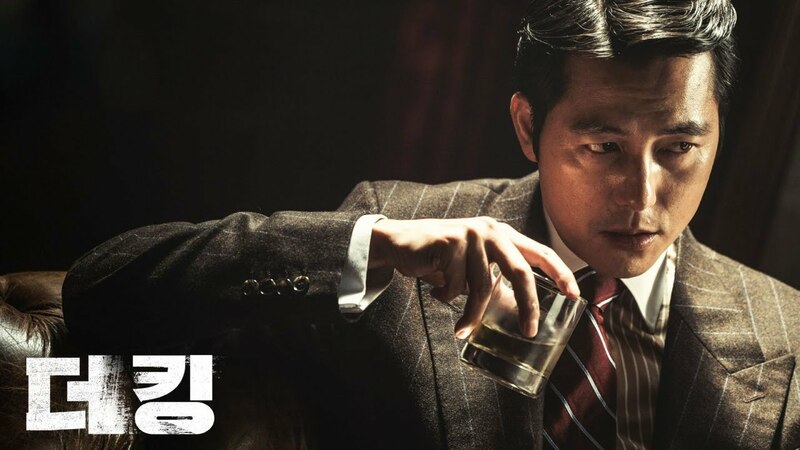 After insisting on a case that seems to hide something amiss, of a man molesting a teenage girl, Park is introduced to Yang Dong-cheol, a man who eventually brings him to the circle of the “1%” of prosecutors that truly move the ropes and make tons of money in the process. Han Kang-sik, an extremely influential man who retains an archive of everything unlawful the strongest men and women in the country have ever done, and uses it to forward his and his team’s goals, is the undisputed head of the group, with his ties reaching from the President to the mafia and from the press to big law firms. Park becomes a member of the team and even forms his own mafia connections with Choi Doo-il, a childhood friend who eventually takes over Seoul’s underground. As the leadership of the country changes, Han manages to stay in power, with Park benefiting the most by the group’s status. However, nothing lasts forever. Han Jae-rim directs and pens a movie that manages to include a number of popular themes without hitting the reef of commercialism, and even more importantly, the one of the melodrama. In that fashion, the movie includes the “rise to power” and the subsequent downfall theme; the historical based-on-true-events background (including actual footage), as many actual, political and non-events are used; the corruption deriving from the connection among the press; the judiciary; the politicians; and most of all, the mafia. The question of “can a man resist temptation?” is another central theme, with the answer provided being as clear as the consequences of the decision. Add to that some violence, a bit of gore, and a number of gorgeous women in secondary roles and you have the backbone of the film. The only thing that bothered me in terms of story is that the end goes a bit too far. The Gwangju Uprising has been a recurring theme in South Korean cinema, with “A Petal,” “National Security” and “May 18” being among the most renowned samples. Jang Hoon, who gave us the masterful “Rough Cut” in 2008, takes a shot at the theme, through a script based on the true story of a taxi driver and his passenger, a German reporter. The aforementioned driver is Man-seop, a widower living with his 11-year-old daughter, trying to make ends meet, although he rarely succeeds, being in debt and having very little money. His only friend seems to be his landlord, although he also owes him rent money. In an instance where the two of them are eating in a restaurant filled with taxi drivers, he overhears one saying that he has a drive to Gwangju scheduled that pays 100.000 Won. Not having any clue about the riots in the area, and the fact that the army has forbidden entrance to the city, he hijacks the ride and ends up carrying Peter, a German reporter, who wants to cover the events. Man-seop knows some English from the time he spent in Saudi Arabia, but his communication with his passenger becomes tense from the beginning, and even more when the two of them have to use back roads and lies to reach Gwangju. Once there, Man-seop witnesses the truth about his passenger, while his avariciousness soon gets him into trouble with the local taxi drivers, who have allied themselves with the university students against the government and the army. Man-seop, who was totally misinformed about the actual situation, witnesses the atrocities of the army, in a series of life-changing experiences that even threaten his life. During the events, the passenger and driver meet Hwang Tae-sool, a kind of a leader of the taxi drivers of the area, and Jae-sik, a university student who acts as translator for Peter. The four of them form a group with a mission of getting the footage to Japan, in order to show to the world what is happening in the area. Jang takes a new approach to the subject through a story that is split into two parts. The first one takes place in Seoul and has a rather comedic style, as we witness the “adventures” of a poor devil trying to make ends meet, a style in which Song Kang-ho thrives. Some dramatic sequences are still present through his relationship with his daughter, but are minor. The second part takes place after their arrival in Gwangju, with the film transforming into a rather pointy drama, which occasionally functions as an agonizing action thriller. The simply entertaining moments are also not missing from here, as in the scene in the house, but the drama is the one that dominates this part. Their situation changes after the Great Kanto Earthquake (September 1, 1923), when the anti-Korean sentiments fueled by false rumors by the government and the press result in the death of thousand Koreans in the area, in a pogrom implemented by vigilante groups and the police. The members of the group decide to let themselves be imprisoned in order to survive, but the Japanese decide to find a scapegoat in Park to derail the international press and public opinion from the pogrom. Subsequently, Park becomes a subject of interrogation as he is accused of treason. Kaneko, who cannot stay away from him, confesses the same and endures the same fate. However, both of the accused are not ready to go without a fight and Mizuno, the Japanese politician behind the whole scheme, finds himself having to deal with a lot more than he bargained for. Lee Joon-ik uses a very interesting and quite unusual style of narrative for such a subject, retaining a happy-go-lucky sense for the majority of the film’s duration. What is impressive is that he manages to retain this style even in the most dramatic moments, like the violence against Koreans or the beatings of the anarchist group, the interrogations, the trial, even the rather dramatic ending. In cinema such as Korean cinema, where the melodrama seems to be everywhere, I found this approach delightful, as it induces the movie with much humor and subsequently entertainment without losing any of the subject’s gravity. Add to that some noir elements, and the fitting, jazzy music tracks that dominate the movie, and you have the backbone of the production. The story revolves around Mo Geum-san, a barber and a widower of few words who seems to cherish his routine of time in the shop, exercising at the local swimming pool and drinking in a small local bar at the end of his day more than anything. However, his uneventful life takes a dramatic change when doctors inform him that he has stomach cancer. Mr. Mo decides to come out of his comfort zone and even shoot a movie based on his own script. In order to do so, he asks the help of his somewhat estranged son, Stephen, a film student in Seoul; and his girlfriend, Ye-won. His son is enervated by his father’s behaviour at the beginning, in an attitude that becomes much worse when Mr. Mo’s secrets come to the fore, but eventually warms to his father wish of shooting a Chaplinesque comedy. Lim Dae-hyeong directs a film that moves between Charlie Chaplin’s and Jim Jarmusch’s movies, in a surprising combination that benefits the production to the fullest. In that fashion, Mr. Mo’s laconic, slapstick-funny behaviour represents the first element, particularly in the short film he is trying to complete, while the general atmosphere of misfits wandering around the country, drinking in bars and acting unconventionally, to say the least, represents the second. Add to that the precision that derives from each shot of Moon Myung-hwang’s black-and-white cinematography, the combination of retro and modern images, the somewhat abrupt but equally precise editing of Park Se-young-I, and the slapstick humor that puts an almost permanent smile on the viewer’s face, and you have a film that looks like a Korean version of a Jarmusch movie. Ki Joo-bong gives a magnificent performance as Mo Geum-san, managing to portray a number of psychological states in laconic fashion, and in a hilarious manner that leaves the rest of the characters constantly stupefied, with much of the film’s humor deriving from this particular aspect. Yeon-hong is married to Jong-chan and has a teenage daughter named Min-jin, who used to be quite wild when she was even younger. Jong-chan worked as an announcer but is now preparing to run for elections as a National Assembly member, and at the same time tries to hide his daughter’s shenanigans. Yeon-hong supports her husband with all her heart, but during the first day of the campaign, Min-jin disappears. As the days pass and the police do not find any clues, Yeon-hong becomes more and more desperate, and at the same time infuriated with her husband and his team’s attitude, who do not seem to care for anything except the campaign. Yeon-hong begins a frantic search for her daughter as she realizes that she did not know anything about her, and about her husband for that matter. The things she discovers and her daughter’s fate lead her toward madness, which also functions as her driving force. Lee Kyoung-mi weaves an intricate web around the disappearance of Min-jin, which gradually reveals that everyone around the family is involved, including a friend from school, whose existence the parents ignored; a teacher; and even a member of Jong-chan’s staff. These revelations are accompanied by a number of plot twists that retain the agony, which Lee builds in a truly elaborate way for the whole duration of the film. At the same time, the story presents a number of social comments, regarding the cruelty of teenagers, the corruption and the immorality of politics, the relationship between parents and children, and the impact secrets can have on people. Add to the above some unexpected scenes of humor, some violence, and the clear message of “everybody lies” and you have the backbone of the movie. However, the element that makes the film unique is its narrative, with Lee using a rather intricate approach to the story, which seems to follow the mentality of Yeon-hong, who manages to lose her mind while standing extremely focused on her purpose. This tactic gives a disorienting sense to the production, which benefits the story to the fullest as the audience can actually feel and think exactly as Yeon-hong does, in a reality that borders on a nightmare. In that fashion, Park Go-ji’s editing is masterful, managing to retain this sense with continuous elaborate cuts among the flashbacks that permeate the narrative. Ju Sung-lim’s cinematography accompanies the above elements perfectly, with some impressive framing and coloring that highlight the sense Lee wanted to give to each scene.